“The Schumann resonances (SR) are a set of spectrum peaks in the extremely low frequency (ELF) portion of the Earth’s electromagnetic field spectrum. 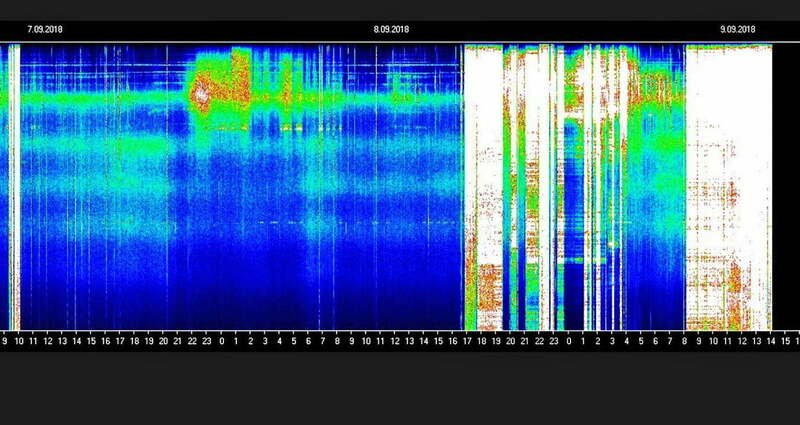 For thousands of year the Schumann resonance has been measured at 7.83 hertz or within shallow spikes of this depending on how many storms are on the planet at the time. The Russian website is one of the only public sites that releases the daily data on the current Schumann fluctuations. The reasons for this are unclear but seem to point at the control of keeping the data from the public eye. How does the Schumann Resonance Affect humans? As a spiritual being merged with a human body, we also merged with the consciousness and energetic makeup of Earth when we were born into a human body. To stay in sync with the planetary composition and frequencies, the human body has an auto correct system that can re-calibrate to the environment when needed. At the same time, a burst in frequency of Earth’s magnetic frequencies can jostle any energetic blockages in the auric field that can cause the physical body to stay at a low or stagnant ELF (extremely low frequency). Bursts of higher frequencies are a good thing for clearing of the auric field of the human, as long as it is done in moderation. For instance, if a person were to be electrocuted from a household electrical outlet, they may have a better chance at recovering than being struck by lightning. The spiritual and metaphysical explanation of raising the frequency of the physical body is the higher the frequency, the less dense reality the human will be experiencing. The goal is to transform the dense, controlling reality we are experiencing in a way that unifies humanity in a love based higher consciousness while still existing in the physical body. This can only be achieved by releasing the energetic blocks of the past and of childhood that keep one stuck in creating a recurring illusion of denseness and dis-ease in the physical reality. This will allow the physical body to vibrate harmoniously with the planetary frequency and to have a healthy energy flow within the body which prevents aging and disease. If a human is stuck in old patterning and beliefs, or perhaps is lulled by complacency into a low frequency, then a burst of frequency can do one of two things. If the person has raised their consciousness enough to realize something is happening and is able to have an open mind and an open heart, then the person will begin to absorb these frequencies as much and as fast as their mind and spirit allows them to. Absorbing these frequencies causes the water in the body to begin to vibrate at the frequency of the spike. 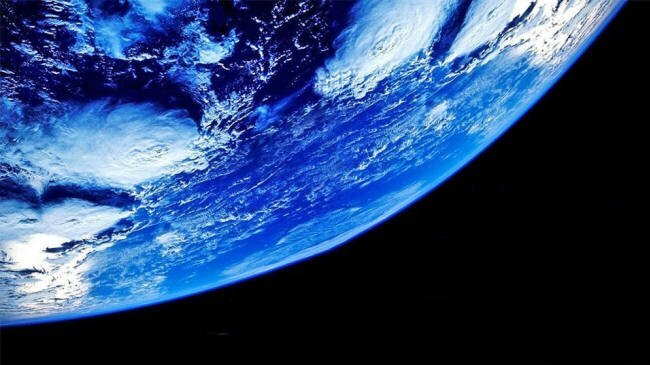 This could cause many uncomfortable symptoms but in the end it is also a testament that something is really happening to our planet and to our consciousness. If a person is completely unconscious and is not a caring, compassionate human (or is not a souled human at all) then these frequencies will irritate and disturb and will most likely not be integrated. Thus these type of people will stay at a low frequency and will not benefit from the incoming waves of energy. It could even begin to cause their physical body to shut down because it will not be able to stay manifest in harmony with the planet’s frequency. Unfortunately some people are not handling this well physically and we are seeing people “leaving” at this time (dying). There is certainly no judgment in this, as some people did not choose to go through this shift in frequency or simply did not have enough energy left to handle it, and no one ever really “dies” anyway. They simply move to another frequency outside of the constraints of the physical body and go where they need to in order to continue on their journey. 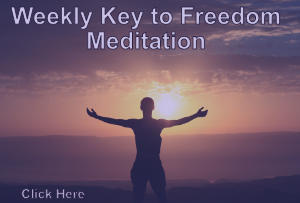 Meditation – not the kind of meditation to connect with astral beings or to have out of body experiences. Peace, pause, and breath meditation and focusing on energy flow works best, and open eye meditation is also good. Grounding or Earthing – Bare feet on the ground, spending time in nature, sea salt baths, swimming, eating grounding foods. Rest – the body has an uncanny ability to do much of it’s re-setting while it is asleep or lying still. Gentle exercise – moving the energy to release blockages and encourage proper energy flow. Whole foods – as opposed to processed or GMO foods. Those who are sensitive to energy have been able to correlate when they are feeling something really different, and look up the chart to see if a “wave” is occurring. On the left axis you will see the hertz and on the lower axis you will see the time of day in UTC +7. The top axis shows the date. The green shows what I assume are normal pulses of electromagnetic frequency. A “white out” has been shown to correlate with thousand of people being able to feel the fluctuation in their physical body. The wider the band of the white out, the longer the wave is consistently hitting. The one showed here was a big one, starting around 18:00 on November 8, 2018 and lasting for several hours. It looks as if the spikes were at around 24 hertz. As a side note, at this time I felt extremely sleepy and my eyes started blurring to where I could not read very well on the computer. I realize these chart screenshots are a bit hard to see. They are for educational purposes only. Please go to the Russian website for a real time chart and better clarity. I do not know the exact amount of time that the Schumann charts have shown these wild fluctuations. If I were to guess, I’d say over the last 40 years, it slowly started to burst more and more, and in the last 6 years has accelerated as if we were traveling down a spiral in frequency and intensity to the end of the spiral, where we were experiencing a node on the spiral in less time and faster as we traveled. I just chose a few random charts that I had saved recently so you could have fresh memory of what you may have been experiencing at that time for comparison. Frequency means how many wave cycles happen in a second. 1 Hz. means 1 cycle per second, 40 Hz. means 40 cycles per second. Amplitude is the size of the vibration, how big the wave is, and the chart shows the frequency variation in Hz and the amplitude using the white color. These blasts of energy frequency help humanity to awaken from the spell that a low frequency can keep a person stuck in. We can all think back to a time in our lives where we found ourselves hypnotized through entertainment or even through slaving at a job we hated for the need for money out of survival. Many people, including of course those reading this article, have realized that there is something really wrong with what is occurring on the planet at this time. It is these people who are being affected through waves of energy or vibration, light, and sound that will help them break free of the chaos and unhappiness they may find themselves in. On a “Matrix” level, there is 1% of the people on this planet who would like to control the 99% of people on the planet. They do not have the consciousness or ability to move through these up-shifts in frequency like someone who is awake, aware, and has made a conscious choice to not be under the control system. Eventually, those who raise their physical body frequency to their higher consciousness will be able to outwit, outsmart and outplay those who wish to control them on many levels. New understandings, abilities, and higher dimensional connections will occur to the individuals who are able to adjust. As the frequency continues to blast, rest, then blast, we are slowly (but lately at an accelerated rate) connecting the physical to higher dimensions, densities, and consciousnesses that are beyond those who have controlled humans for a very long time on the planet. The up-shifts in frequency also help people to awaken. This article is a simplified explanation of the Schumann Resonance fluctuation showing a correlation with the way the human body has been experiencing this while examining the scientific proof in increase of frequency through charts found on a Russian website. Finally, in the practice of questioning everything in our reality, here is a note for the doubters. If for some reason even the Russian website that is providing the data for us to be able to track is fraudulent, and if there is something different causing these symptoms that we are going through, at least we are aware that something is happening globally and millions of people are experiencing this. Many people started consciously working with these energetic frequency years ago and have reported on what has worked best for them to be able to feel better. These people, including myself, no longer suffer when huge waves hit, as we have tried many things and compared notes with each other. Are they going to use 5G to supress our connection to the Shumann Resonance? …and what’s wrong with that? Write on brother!! It seems to me that all those symptoms are almost identical to those cited as symptoms for most of the “autoimmune diseases”. I find that SO interesting and have long recognised that electromagnetic fields (from various sources) have huge impact, which of course is not considered by allopathy. I have long suspected that the increase in autoimmune diseases (fibromyalgia, parkinson’s, diabetes, hashimoto’s, arthritis, cancer etc etc) has less to do with the body and more to do with environment, energy and spirit. Where can I read more on this topic? i am experiencing a lot of the above – i recently came back from a 40 day mexican vacation whereas we walked 5 hours a day and only ate whole foods plant based diet – we were very tuned to many things because of this. I did have an odd experience though although i am 60, menopaused female one clear evening looking at the stars in Mexico for the first time in my life i experienced vertigo and dizziness this went on for 2 days – i have no explanation for this as i am extremely healthy. It went away by itself never to return – not sure what it was but after reading your article maybe its now been explained. Thank you. Why does the chart indicate spikes DOWNWARD instead of UPWARD from the 0.0 baseline? Anyone else find that confusing? Is it also possible that this is instead the dangerous 5G roll out to kill off population ….Agenda 21? Only if you embrace the Fear! Read the Law of One or listen to it via YouTube. This all makes perfect sense when taken in that context. Thank you so much for the explanation of the schumann. I have had all of the above expierences for 20 years plus what I call Kundaline. It all makes sence now. Hi there. Just curious. Can a schunann resonsnce frequenciies in the Rife techonologues helps to correct the imbalance of the change spike? Onn, You may be misinterpreting the theory of the Schumann frequency. It is a reflection of earth resonance and the frequency is rising. Perhaps review an earlier post this week on how we may be entering 5D and you may start to see the connection. Raising vibrations is typically a positive thing. Hope this helps. Thank you for posting this article and thank you Spirit for leading me to it! I have been experiencing all of the above symptoms and have asked other awakened people if they ever felt like they were dying. This gives some kind of an answer. So grateful to have this enlightenment so I can stop being in confusion. Thank you for this information. Right before winter I had heard about walking barefooted outside to absorb the Earth’s energy, I tried it and indeed “felt better”. The weather got colder so I stopped. Reading this has reminded me that I need to take advantage of any nice day and get back out there barefooted! Tomorrow will be 70′ in Maryland, we had snow yesterday it will be gone so there is my chance! Alice, I feel most of those symptoms now, and have done for a while. It got worse recently, after my Mother passed, and how she was before she passed, is how I feel I am now. Unable to move very well, and I feel like, well, maybe I’m next to go. It’s very debilitating, and I feel like I am in some kind of limbo. I’m glad I found this , as it explains a lot. My question is how do these spikes affect children. Flu luke symptoms maybe? My little ones who usually are very healthy seem gonna be this come and go cold or flu ever since my awakening in August. Could this be hitting them like it would me? I was told that when one wakes and goes to higher vibration the whole house rises. Cecilia, anything is possible but as responded to in another post question about Schumann, consider the state of our ascension process and what that involves. Incoming waves of light and energy elevate frequencies of all things…humans, animals, mother earth, children. We all respond differently as these vibrations flush out our own issues. Please check out the earlier post this week on moving towards 5D. Have no fear. The Russian site, Google Chrome can translate it. Can someone give me the link to the Russian site that posts the SR graphs?